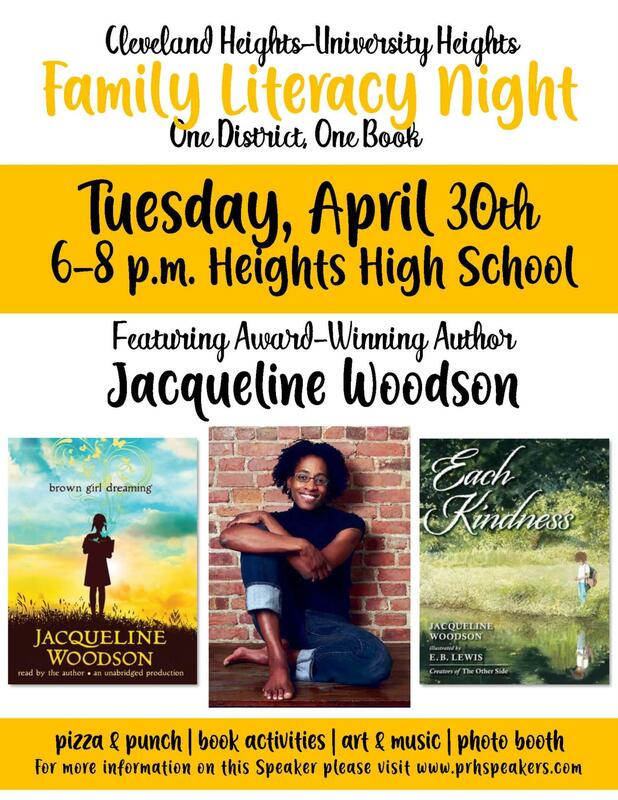 March 27, 2019 -- The CH-UH City School District is hosting Family Literacy Night on April 30. Special guest Jacqueline Woodson, acclaimed author of Newbery Honor Book Brown Girl Dreaming, will be there to discuss her work and answer audience questions. The event will run from 6 to 8 p.m. at Heights High. Families can enjoy activities, pizza, art & music and a photo booth. For more on Jacqueline Woodson, visit prhspeakers.com.